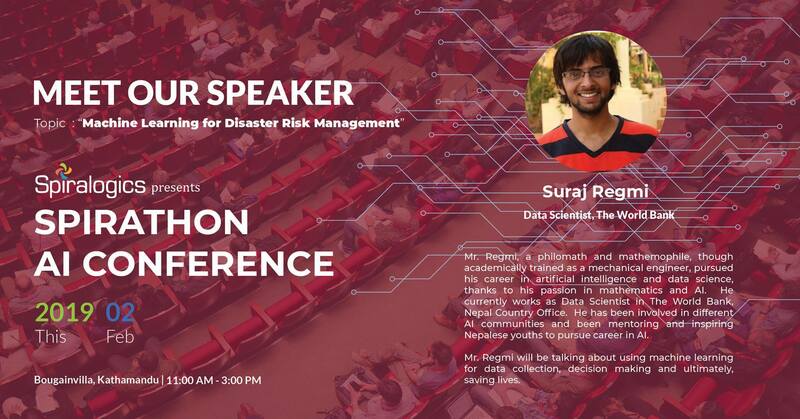 Spiralogics is hosting a first of its kind, Artificial Intelligence (AI) Conference in Nepal this February – a platform for AI veterans and students to come together and network. This year, Spiralogics is focused on exploring and explaining the ways how AI can create a positive impact on different aspects of our life. 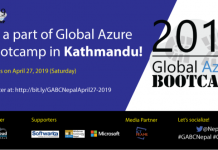 It is a platform which will act as a driving force in encouraging the implementation of AI (especially in the Nepalese environment). Our purpose is to bring together professionals and students under one roof to rediscover the possibilities that AI can create in our day to day lives. 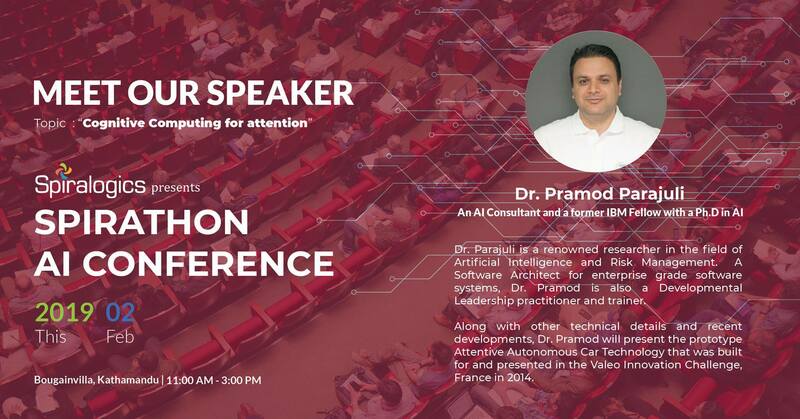 The conference will include speakers with extensive knowledge of AI. This will be your chance to network with veterans and revolutionaries of the IT industry. Five teams shortlisted and mentored by Spiralogics will also provide a Demo and present their AI application. 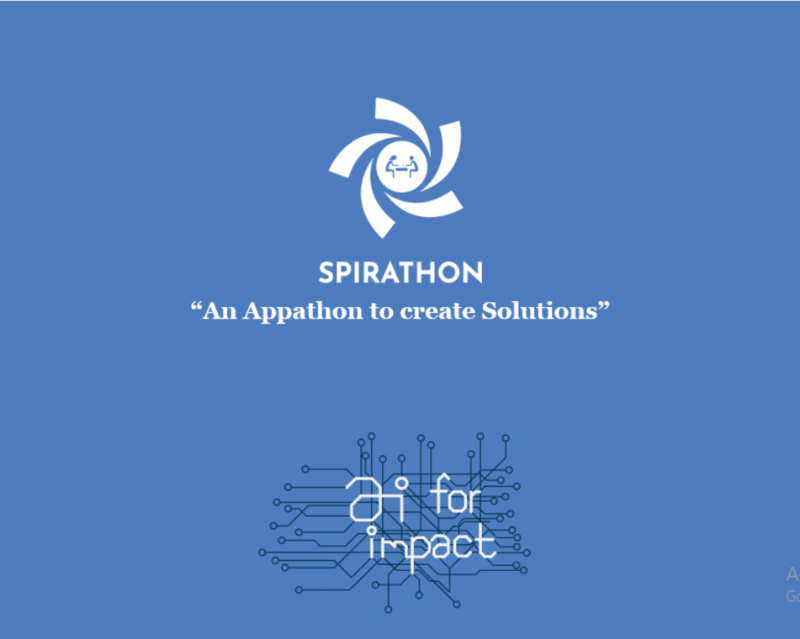 The program will include Spirathon Finale with AI Application Demo and Presentation, Key Note Speakers and Awards Distribution. AI experts were talking on state-of-art, most recent areas of research. Veterans, revolutionaries along with angel investors, business people, and startups. Place for beginner to expert, non-technical to AI master. Learn, connect and get inspired by Experts. 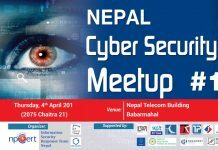 Discussion on the opportunities, challenges, and future of AI in Nepal. For any inquiry, please contact at 01-4787644 between 9:00 a.m to 4:00 p.m.